Historically the area where Cala d’Or is named Ses Puntetes (Les Petites Pointes), which designated all the coves of Cala Llonga, Cala Gran and Cala Petita. When, in 1932, the architect Josep Costa Ferrer decided to create a marina in Cala Llonga, he named the resort Cala d’Hort, because this place reminded him of a creek of the ’island of Ibiza where he was born, Cala d’Hort (the creek garden) near Sant Josep de sa Talaia, on the south-west coast of Ibiza, he also built the station in the traditional style of Ibiza houses. 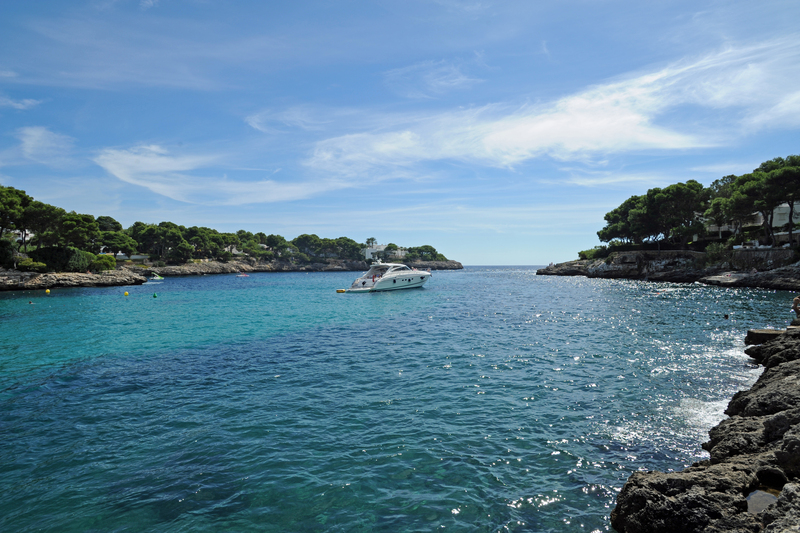 Later the name of Cala d’Hort was transformed into a more commercial name, Cala d’Or. Cala d’Or is called Cala de Oro in Castilian Spanish. Cala d’Or is located on the east coast of the municipality of Santanyí in the southeastern tip of the island of Majorca. 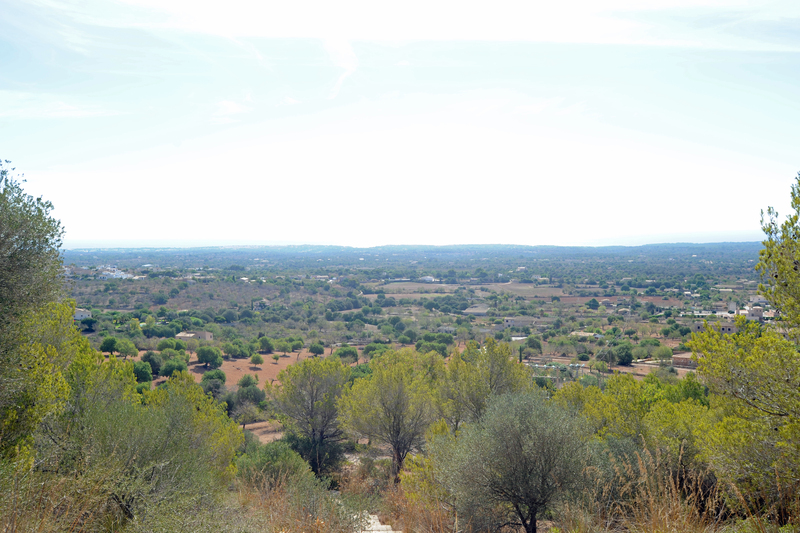 The chief town of the town is inland, 14 km from Cala d’Or. 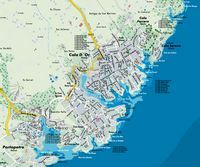 The resort of Cala d’Or has a fairly flat land, with an average altitude of 27 m.
Further north along the coast there are other resorts such as Cales de Mallorca, 21 km, Porto Colom, 15 km, both part of the municipality of Felanitx. South of Cala d’Or are wearing Portopetro, 4 km, and the Natural Park Mondragó and stations Cala Figuera, 19 km, and Cala Santanyi, 18 km. Majorca’s capital, Palma, is distant 65 km away and takes a little over an hour drive to get to Palma, Son Sant Joan International Airport. Cala d’Or was one of the first resorts on the east coast of Mallorca and has a highly developed tourist facilities, it was designed, at the beginning of the 1930s by the architect Josep Costa, who wanted to give him a ibizien character with low-rise houses, with cubic shapes, flat roofs, with whitewashed and painted green walls windows. 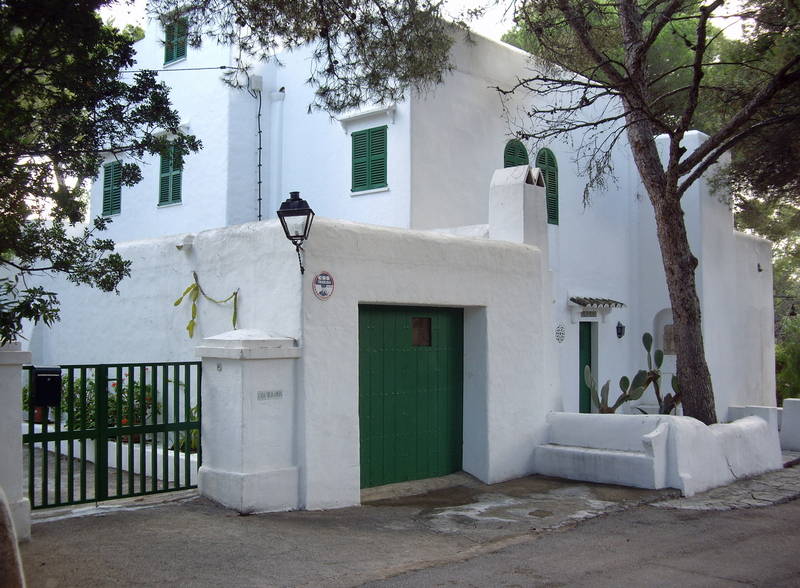 This original Cala d’Or has retained a warm character, and no meeting tour hotels hideous. In the center, pedestrian streets like Avenue of Belgium (Avinguda de Bèlgica) and St. Andreu Roig, bring a casual entertainment, with many shops and restaurants. However, the massive urbanization has invaded the coast for several kilometers and left only very few natural landscapes. 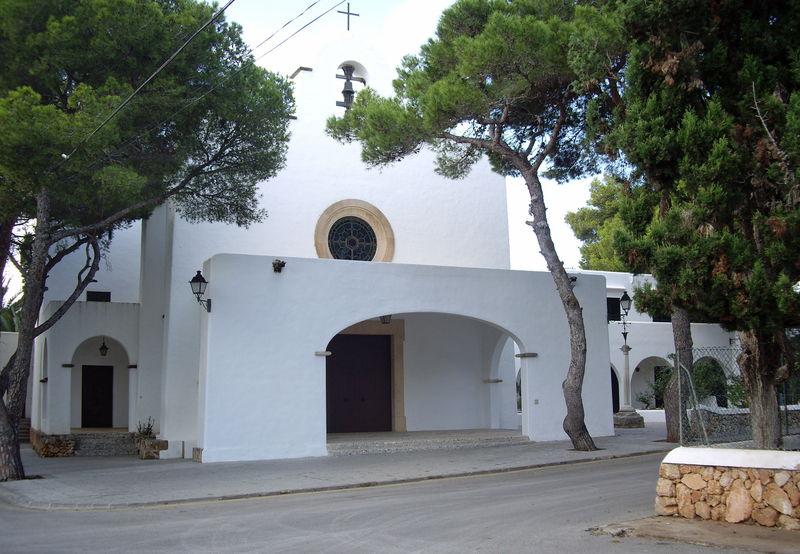 The parish church of the station, St. Mary of the Sea (Església de Santa Maria del Mar), was also built in the style of Ibiza, on land given by the architect "Pep" Costa in 1956 near Plaça de Sa Figuera, the first stone was blessed in 1957 and the church was consecrated in 1973. The resort - in the broadest sense - has three parts: Cala Ferrera, northern part of the municipality of Felanitx Cala d’Or itself, center, Cala Egos and the south. The resort has several white sandy beaches, usually located at the bottom of narrow creeks and protected from winds by rocky headlands. 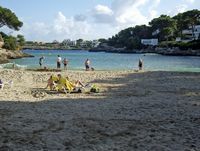 These beaches are small in width between 20 m and 60 m. From north to south, are the coves of Cala Serena (Felanitx), Cala Ferrera (Felanitx), Cala Esmeralda, Cala Gran, Caló de Ses Dones, Cala d’Or Cala Petita, Cala Llonga (marina), Cala des Pou, Cala d’es Fortí or Cala Galera, Caló de Ses Egües (Caló de ses Egos) and Cala des Llamp. One sea inlet is closed by the caps of Racó de Sa Creu, north, and Punta Citerea the south leads to three coves of Cala Gran, Cala d’Or and Cala Llonga. On Punta Citerea is a fort, Es Fortí. Cala Gran de Cala d’Or is the main beach and the largest. Cala Gran is flanked by low rocky headlands where hidden among the pines a few opulent villas. Creek ends with a small beach 60 m wide. Its depth was artificially increased by the construction, in the posterior part of terraces made of sand reported. Cala Llonga is the deepest coves of Cala d’Or and is sheltered from the wind unless the wind is (Llevant). It is in the Cala Llonga that was built marine Cala d’Or in 1969. 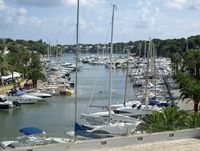 The marina also named Porto Cari, can accommodate more than 500 boats under 20 meters. 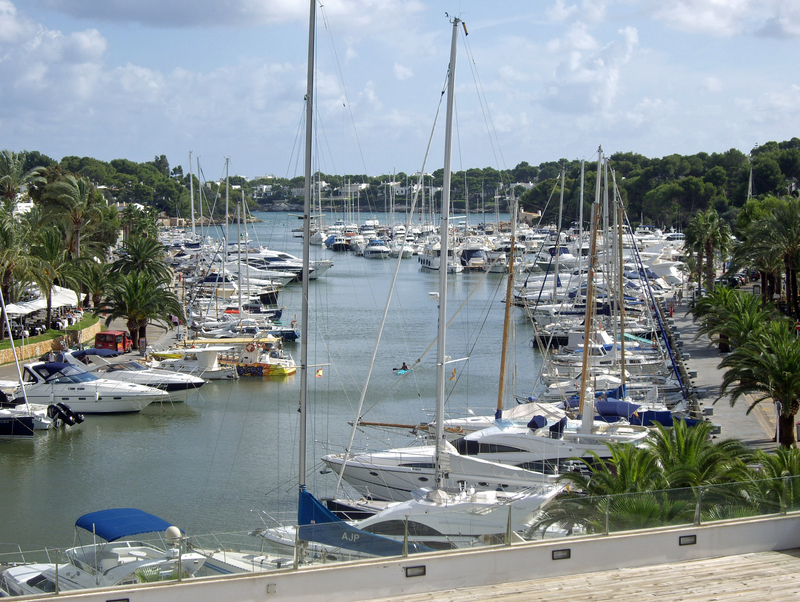 There is a large number of shops, restaurants and bars on the Avinguda de Cala Llonga along the creek. In contrast, Cala Llonga has no beach, but you can easily walk to the beach of Cala Gran. 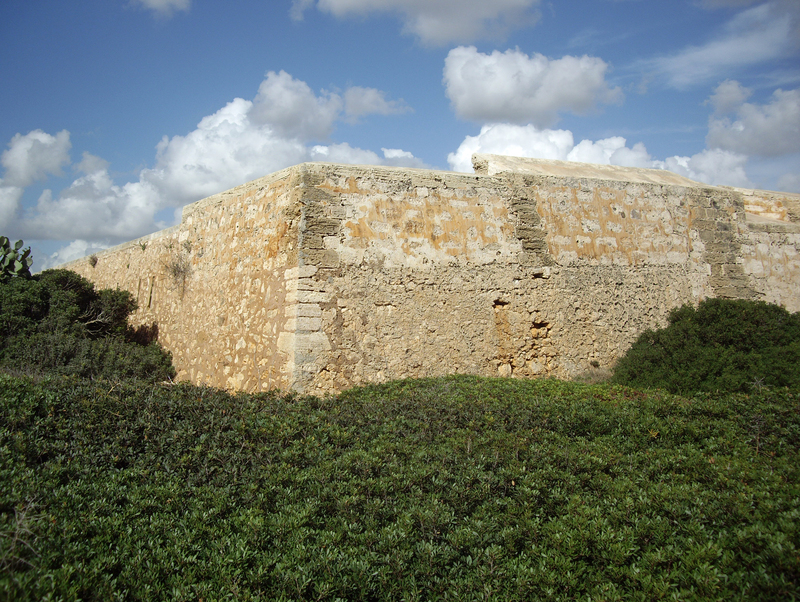 The fort, Es Fortí is the only monument in Cala d’Or, there is the entrance to Cala Llonga. 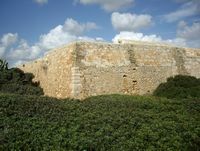 This fort was built in 1730 during the War of Spanish Succession to protect the bay where now Cala d’Or. After being severely damaged by an earthquake, it was rebuilt in the late eighteenth century, in 1793. 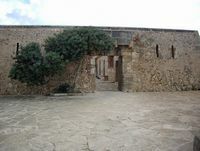 Es Fortí is a strong almost square, 26 m side. Located near the marina, Port Petit restaurant is a fish restaurant quality, but quite expensive. The restaurant is run by a French-Majorcan which also has its own vineyards. Menus 30 to 60 €. Closed Tuesdays at noon in season. If you reached this frame directly, click on this link to reveal the menus.